This industrial pro kit is the complete option for industrial and office settings. In addition to the components found in the standard kits, this kit has a full range of approved relief tablets and medications to help employees deal with headaches, colds, muscle pain and other common workplace ailments. The heavy duty metal cabinet mounts easily to the wall, and the large swing out door opens fully to allow easy access to all three shelves and the door compartments. Content complies with new ANSI Z308. 1-2015 and OSHA 1910.151(b) regulations. 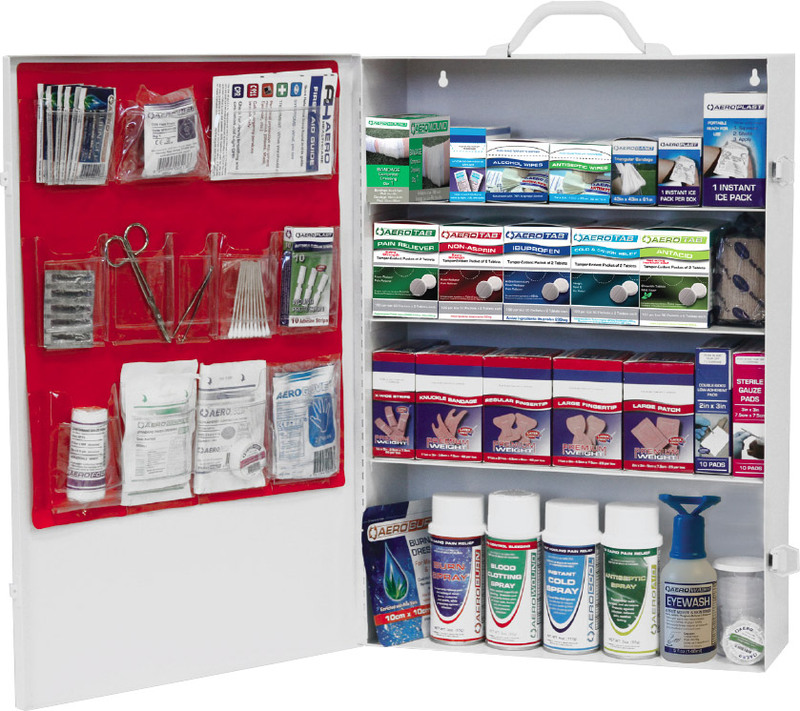 This kit is available in a Tough Metal cabinet – all our cabinets are available with private labeling. For more information on cases and labeling, see our Case Options.